Each year aspiring young programmers, engineers, and scientists from throughout the fabled land of Europe set out on a noble quest to tour the furthest reaches of the realm, seeking to master the arcane art of parallelism, and spread the honour of High Performance Computing, in a grand spectacle known only as the Summer of HPC. Most noble among these is Marco Forte, a maths student from Dublin on an incredible journey through Europe, passing first through the deepest forests of Juelich, Germany, and then on to the sunny coasts of Barcelona, Spain where he will dine with the valiant knights whom reside there, and bring parallelism to their Python applications. In the days before his quest began, Marco did his undergraduate studies in mathematics at University College Dublin, however at the end of his degree he decided to move towards computation, and so apply for the Summer of HPC, followed by a PhD in Trinity College Dublin in signal processing at the end of the summer. His interest in computing had however already began to develop even before he started his degree when taught himself C# using online tutorials. Like all true knights, his favourite language is Python, the most versatile and intuitive of companions. He also argues that there is a lot to be gained from making it easier to use Python in scientific applications, as whilst it may not be able to compete with lower level languages such as C and Fortran on raw performance, it greatly lowers the barrier of entry, and promises to make HPC accessible to a greater variety of scientists as well as trained programmers. In his project he will be working on developing and example of a parallel application using PyCOMPS, a library for parallelizing Python code. This aims to make it easier to modify existing scientific applications to take advantage of parallelism when they need to scale to larger datasets. Not only does Marco have fine taste in programming languages, he is a connoisseur of history, holding a keen interest in the Romans. 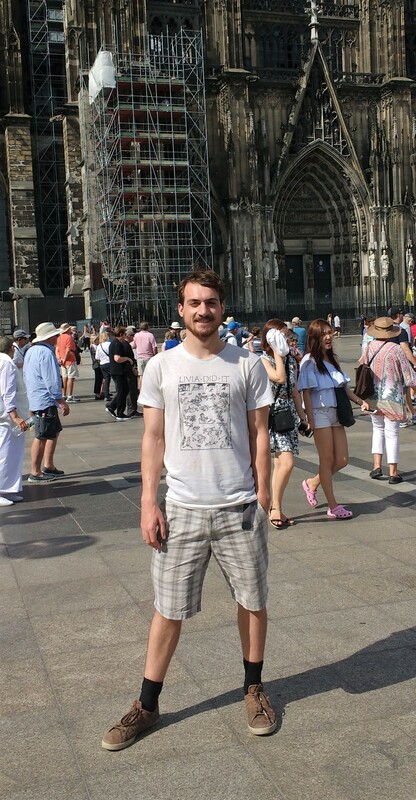 He is a big fan of the History of Rome podcast, and never misses a chance to visit the local Roman sites (including in Cologne where he visited the Roman arch and history museum).